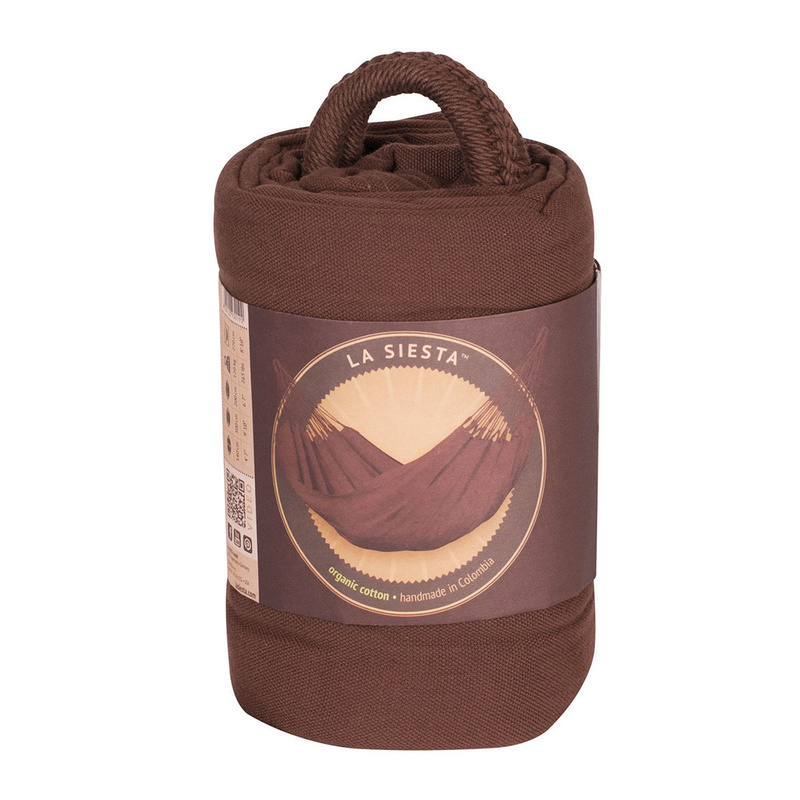 Complete with a wooden stand, the Modesta single hammock by La Siesta is natural and understated, made from pure undyed and unbleached organic cotton - certified by GOTS, it is fair to both humans and nature. 100% natural, organic cotton is wonderfully soft to the touch and yet easy to clean. The large number of suspension cords is characteristic of Columbian hammocks. They ensure optimal weight distribution and incredible comfort, as well as durability. Reinforced edges make the material extremely tear-resistant. 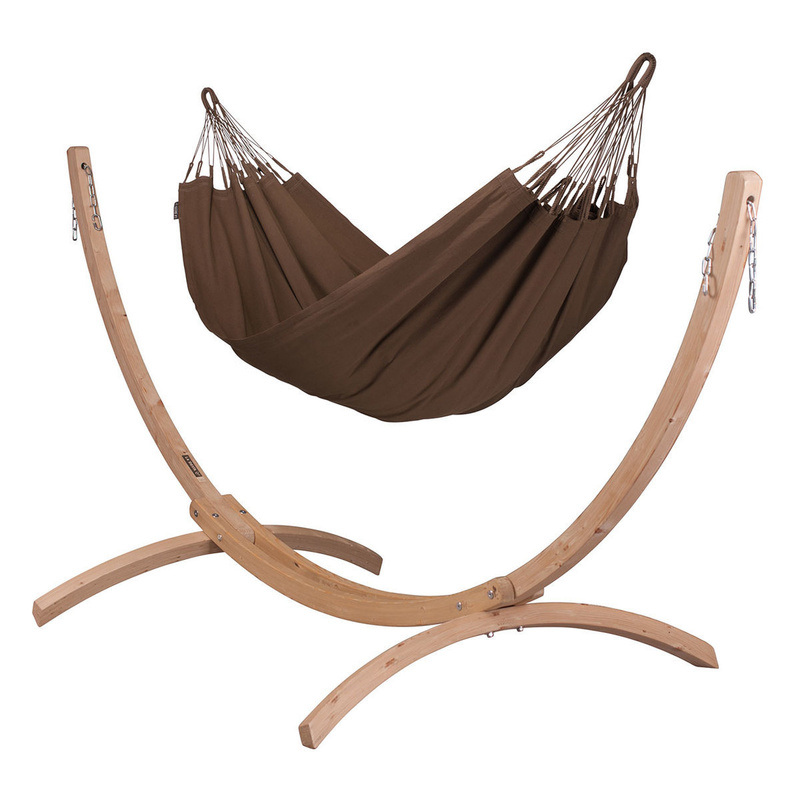 Modesta is the most original and popular form of Latin American hammocks - perfect inside the house and outdoors. Hammocks without spreader bars are meant to sag. The most comfortable position in a hammock without spreader bars is lying diagonally. Your body expands the surface area so the fabric does not constrict, there is optimal back support, pressure is removed from the spine and rocking is made more pleasant. 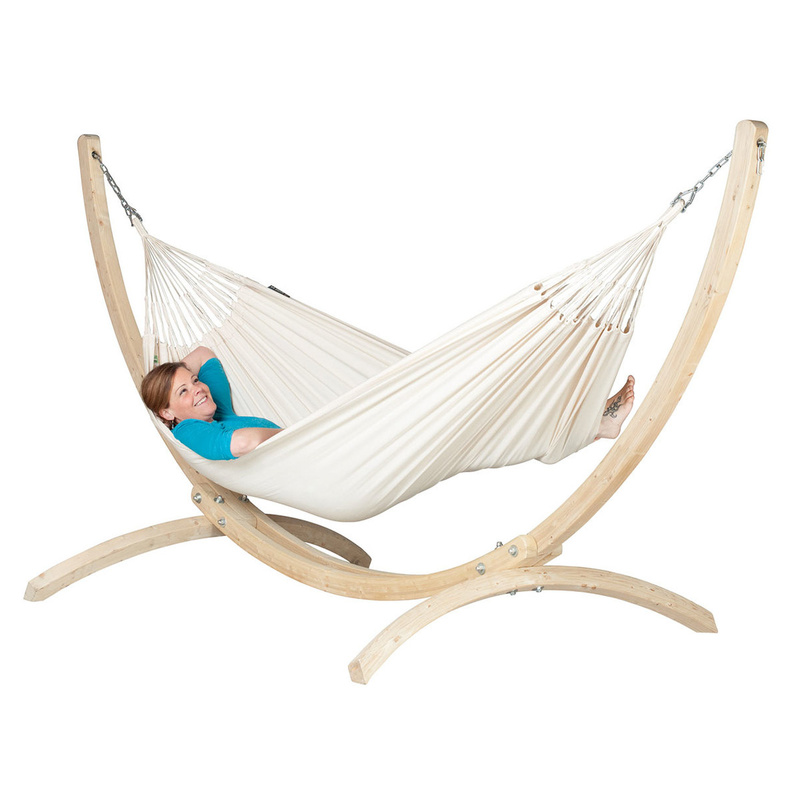 This hammock is on sale complete with an extremely sturdy and weatherproof hammock stand made of FSC-certified wood. 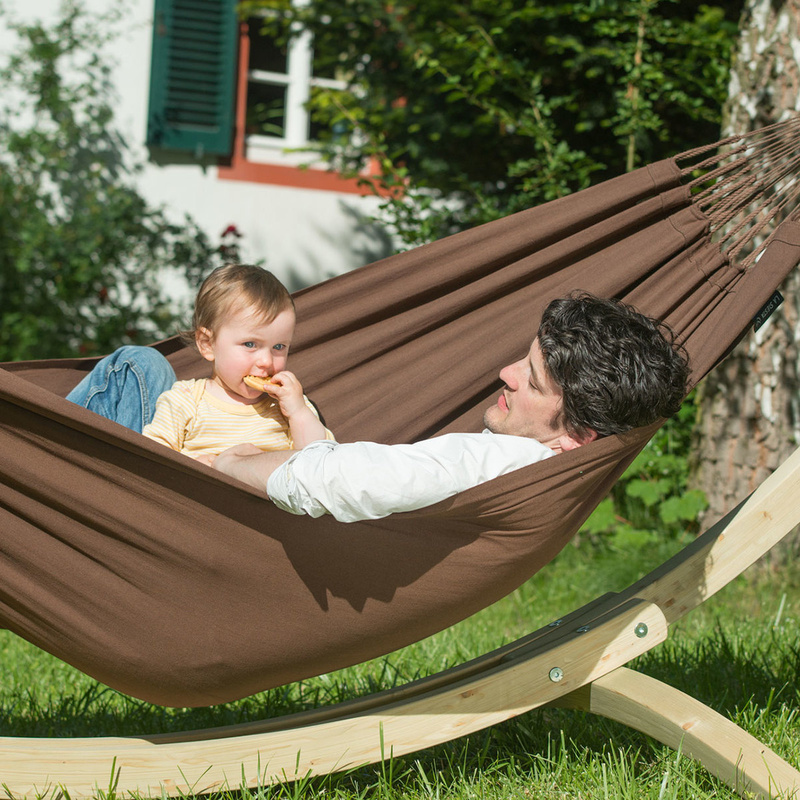 The patented QuickExtend System allows the adjustment of the tension in the hammock in just a few easy steps. 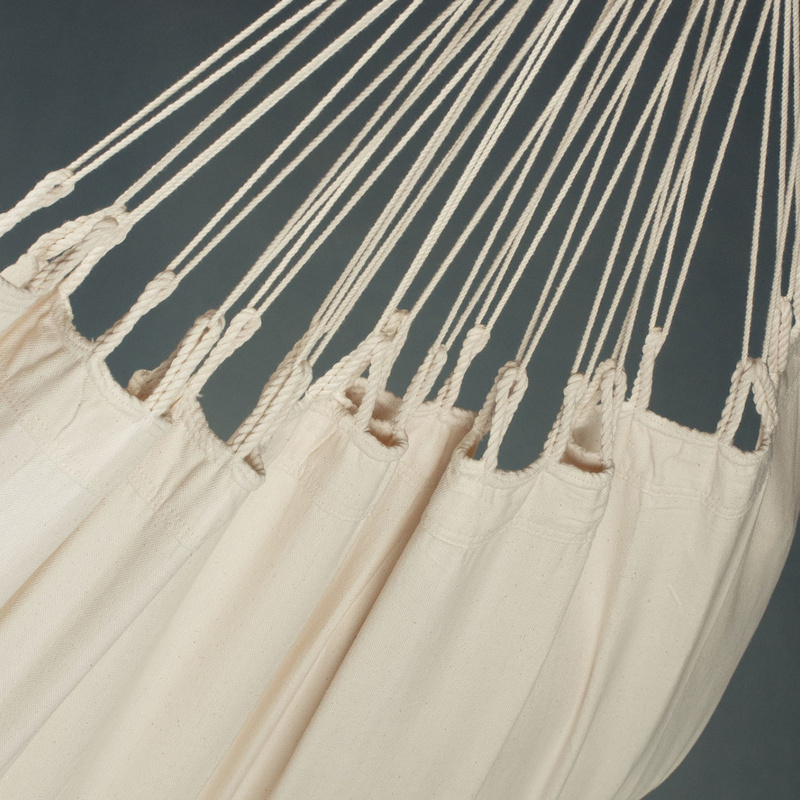 This hammock can be machine-washed: delicate cycle 30°C! Bind the suspension cords together before washing to avoid tangling. Cotton hammocks are susceptible when exposed to constant moisture. Therefore, take the hammock down in the evening to protect it from overnight dampness. Keep in mind that a hammock that has become damp needs adequate air circulation to dry. We recommend cleaning and thoroughly drying the hammock before the winter season. After it is completely dried, store the hammock in plastic to protect from vermin.